‘The best laid plans of mice and men oft go astray’. This quote from Robert Burns’ poem “To a Mouse” certainly applies to me. I make plans, constantly, but so often life intervenes. However, I am back in the land of the living with my email address finally restored (after a week of tearing my hair out negotiating with #Telstra) and my book contract with MadeGlobal on the way. Fantastic!!! I can’t wait to get ‘Something Missing’ up and running. No wonder this blog is a tad late. However, I tend to believe that it is better to be late than never. The submissions editor at Madeglobal, while we could still email each other, sent me a link to the Winifred Knights exhibition at the Dulwich Picture Gallery in London. After seeing the paintings online I immediately wanted to fly to London to experience this exhibition in all its glory. However, airfares to London are far too expensive for a brown rice writer in Australia. At least these works of art are available to everyone via the internet. Reading Winifred Knights’ biography instantly reminded me of Clarice Beckett. Both women artists died in their forties and both struggled for their art to be recognised within a male dominated society. English born Winifred Knights and Australian, Clarice Beckett are two amazing artists. Their obvious talents as painters was often overlooked during their lifetime. The overall patriarchal opinion of the period appears to have been that there had never been a great woman artist and there never would be because women had not the capacity to be alone (seen as the key to creative living and central to having an authentic inner life). Both Knights and Beckett were continually put down by the critics and sold little during their all too brief lifetime. Well known for her distinctive style of dress, Winifred Knights usually wore a stylised version of nineteenth century Italian peasant costume; a loose ankle-length skirt, plain buttoned blouse, wide brimmed black hat and coral necklace and earrings. Several of Winifred Knights paintings include self-portraits. In The Marriage at Cana, she depicts herself wearing her distinctive outfit. Click here for Clarice Beckett’s biography. In 1914-16 she took lessons in drawing from Frederick McCubbin at the Melbourne Gallery School but then chose to study under Max Meldrum. Constantly encouraging, though often fiercely critical, Meldrum regarded Clarice as a very gifted artist. Clarice Beckett’s personal life remains something of an enigma; her dedication to her art, and her refusal of several marriage proposals pitted her against her family’s traditional view of a woman’s role in society. She was twenty-seven years old when she finally attended art school; her father refused to allow her to set up a studio in the family home, where, as an unmarried woman, she remained all her life, and thus bore the full load of caring for her ill and ageing parents. Beckett’s bleak domestic life was compounded by the hostility of art critics, and at times, her own peers, who misunderstood her distinctive approach. Despite these circumstances Clarice Beckett was driven to be an artist, and each day at dawn and dusk she could be seen in the suburban streets around her home; most often on Beaumaris Beach, paintbrush in hand, absorbed in her painting. She managed to exhibit her work annually over a ten year period. Clarice exhibited usually with Max Meldrum’s other students, however, very few of her paintings were sold in her lifetime. Today Clarice Beckett’s posthumous reputation grows as her vision of modern urban and coastal Australia is acknowledged by contemporary painters, with her works now held in over four of the country’s major public galleries. I saw an exhibition of her work at the McCallum Gallery , Langwarren Victoria. Amazingly evocative work. Loved it. While painting the wild sea off Beaumaris during a big storm in 1935, Beckett developed pneumonia and died four days later in a hospital at Sandringham She was buried in the Cheltenham Memorial Park. She was only 48 when she died, the year after her mother’s death. Currently I live fifteen minutes away from where Clarice Beckett died. When my city bound train approaches Cheltenham Station I glance out the window and gaze at the neat rows of headstones of what I have always called the Cheltenham Cemetery. In future I will always wonder which headstone belongs to Clarice Beckett. ‘Behind every great man is a woman rolling her eyes’. My second novel, ‘Something Missing’ is about two women in two countries (Australia and America). It’s based on my thirty-five year pen-friendship with and older American poet from USA. In 1975 we met when camping in Outback Australia. It is a story for women and about women, growing up, growing old, of love, lies and reconciliation. I am annoyed, frustrated and yes, angry. Last Sunday, Telstra, without notifying me, deactivated the email address I’ve had for years. Five days later they are still trying to restore it. At the time I was emailing MadeGlobal about my latest novel and clicked ‘send’. My email didn’t go. A notice popped up, ‘Please type in username and password.’ I followed instructions. Twice. Nothing moved. Nothing was active. I desperately hit ‘send’ again, praying that the email I’d just completed would wing its way to MadeGlobal’s submissions editor. The email didn’t go. Again. It is then that I notice no emails are coming in. To be a writer, or anyone these days for that matter, to have no email is a disaster. I rely on it, need it, want it restored…Right Now!!! The submissions editor had given me a link to Dulwich Picture Gallery in London featuring the paintings by little known artist Winifred Knights. The exhibition reminded me of a study a fellow Swinburne University PhD-er is currently researching about an unrecognised Australian painter, Clarice Beckett. Later today I’ll post a blog about these two amazing women. May we never forget what happened at Coranderrk Reserve. Winter in Victoria. Every Saturday at 5am, I still dream I will throw snow chains in the back of my car, grab my skis and head for Healsville and the the cross country skiing at Lake Mountain. I love driving through the tall mountain ash forest near wild dog creek, over the black spur into a pristine world of white. The air crisp and clear, the only sound the swish of my skis and the gentle plop of snow falling from trees. On the way home I deliberately divert down piccaninny lane (piccaninny means an Australian indigenous child) and slowly climb to a fenced area surrounded by tall trees. Opening the gate I quietly stand by Barak’s grave and gaze over rolling green hills towards where Coranderrk once was a thriving community. In the past, Coranderrk was a government reserve for Australian Aborigines in the state of Victoria between 1863 and 1924, located 50km north-east of Melbourne..
S0mething in the sound of the wind in the grass and the gently sighing of trees keeps drawing me back time and time again to this place. There is a sense of longing I can’t explain. I always knew some facts but I didn’t fully understand what had happened here, so when I had the opportunity to see the play Coranderrk: We Will Show The Country based on actual transcripts from the records of the 1881 Government Inquiry into self determination, I could not resist. With his Gippsland-born first wife Lizzie, he was among the first group of Goulburn Aboriginals who settled at Acheron in 1859, hoping to have the area reserved. After much official indecision Coranderrk, near Healesville, was gazetted and he settled there permanently in 1863, in a ‘neat little cottage and garden, most tidy and comfortable’. Barak worked for a small wage on the station farm and acquired a few horses. Further schooling and religious instruction were undertaken; he could read but not write. He was baptized, confirmed, and took a second wife Annie ‘of the Lower Murray’ (Lizzie died before 1863) in a publicized Presbyterian ceremony in 1865. The fate of his family was typical of the time; two infants died of gastro-enteritis, David and Annie of consumption. When he married Sarah (Kurnai) on 7 June 1890 he was the oldest man at Coranderrk and only full-blood survivor of his tribe. Following the reservation of the land, Barak and the Kulin together with the first managers, John and Mary Green, enthusiastically embarked upon the task of making Coranderrk their new home. Their vision was to make the station fully self-supporting. However,soon vested local interests began to agitate to move Barak and his people off this land, and so began a sustained, sophisticated campaign for justice, land rights and self-determination. In collaboration with white supporters, the Kulin people used the legal and political system to force a Parliamentary Inquiry. 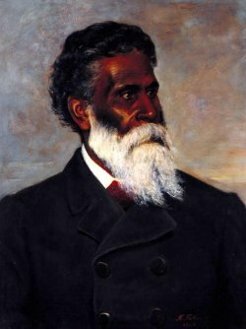 In the late 1870s when management of Aboriginal affairs came under vigorous public criticism Barak emerged as a respected spokesman. Until his death he was the acknowledged leader at Coranderrk and a liaison between officialdom and the native population. ‘give us this ground and let us manage here ourselves … and no one over us … we will show the country we can work it and make it pay and I know it will’. Lisa says the play is unique because it’s based entirely on transcripts from the 19th century paper trail of an heroic struggle for Aboriginal self-determination. Having been dispossessed of their ancestral lands by European settlement, a small band of survivors from the Kulin Nation petitioned the colonial government for a land grant to set up the Coranderrk Reserve. There they created an award-winning farm and an impressive settlement. The outcome of the Inquiry? In the short term the inquiry marked a clear victory for the Corranderrk community, for they succeeded in publicly exposing and preventing the Board’s underhanded plans to close down Coranderrk. John Green was never reinstated as manager as they requested, but the despised Rev. Strickland was dismissed and living conditions improved. Finally in 1884, Chief Secretary Graham Berry ordered that Coranderrk should be permanently reserved as a ‘site for the use of Aborigines’. It was a short-lived victory, however. In 1886, the Victorian Government passed the infamous ‘Half-Cast’ Act, designed to push so-called ‘half-cast’ men and women off the reserves and facilitate their assimilation into the white population. The 1886 Act caused the breaking-up of families and separation of the younger, literate, generation from their Elders. As a direct result, Coranderrk was eventually closed in 1924. 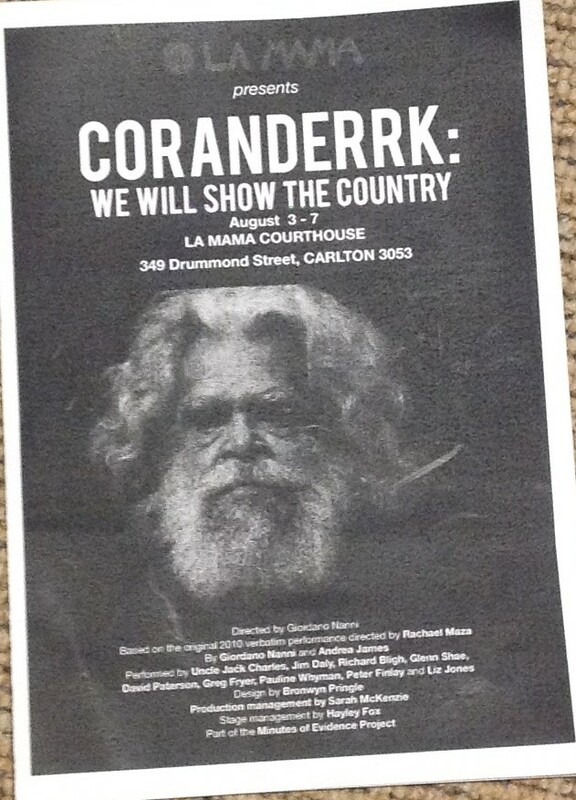 Barak and the Coranderrk community’s fight for self determination should never be forgotten. Finally I am beginning to understand the sense of longing I feel when I stand on that high rolling hill in Healsville. It’s a story every Victorian should know.